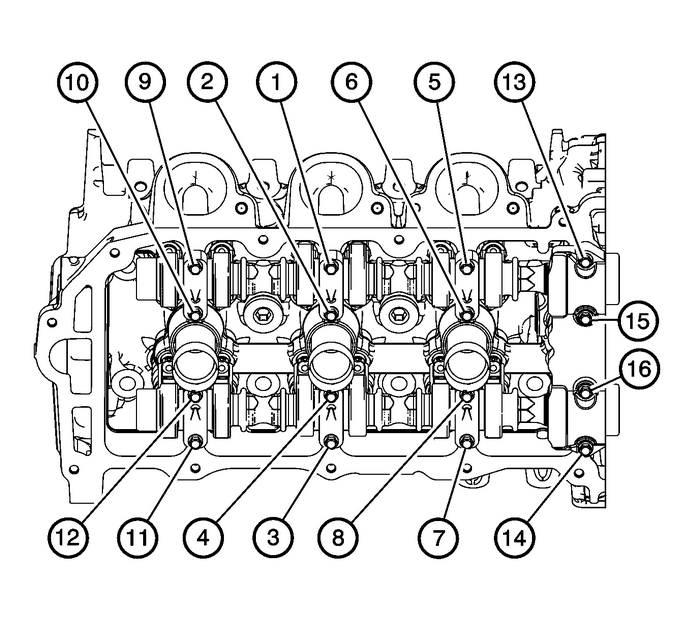 Apply a liberal amount of lubricant to the camshaft journals and the right cylinderhead camshaft carriers. 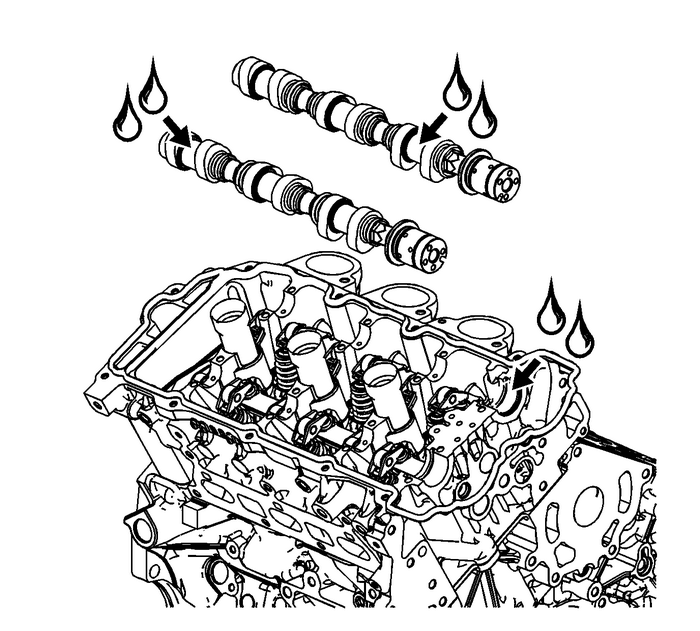 Refer toAdhesives, Fluids, Lubricants, and Sealersfor recommended lubricant. 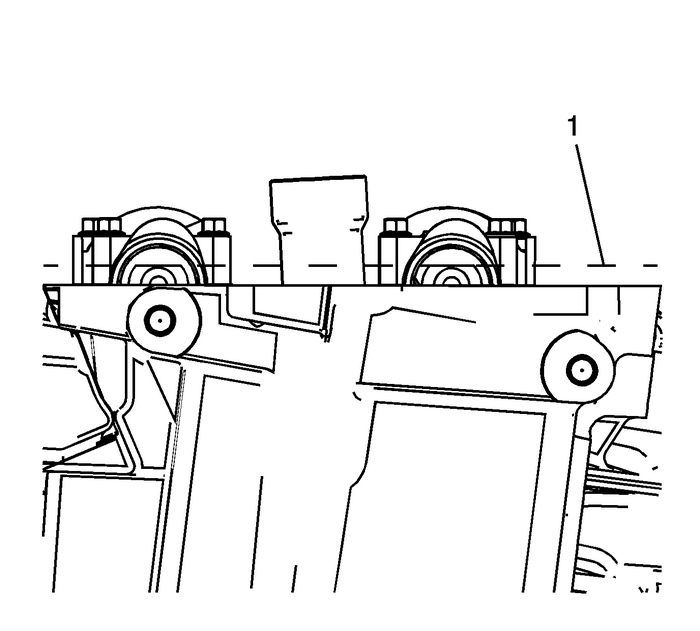 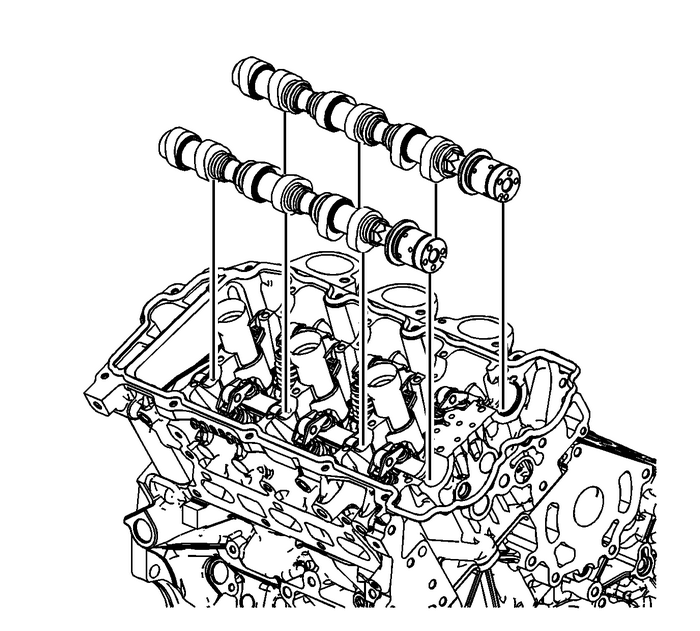 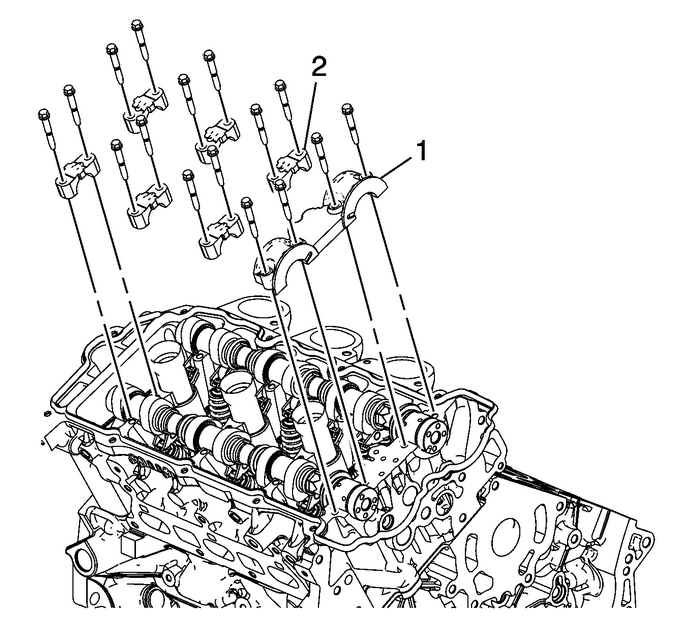 Place the right intake and right exhaust camshafts in position in the right cylinderhead. 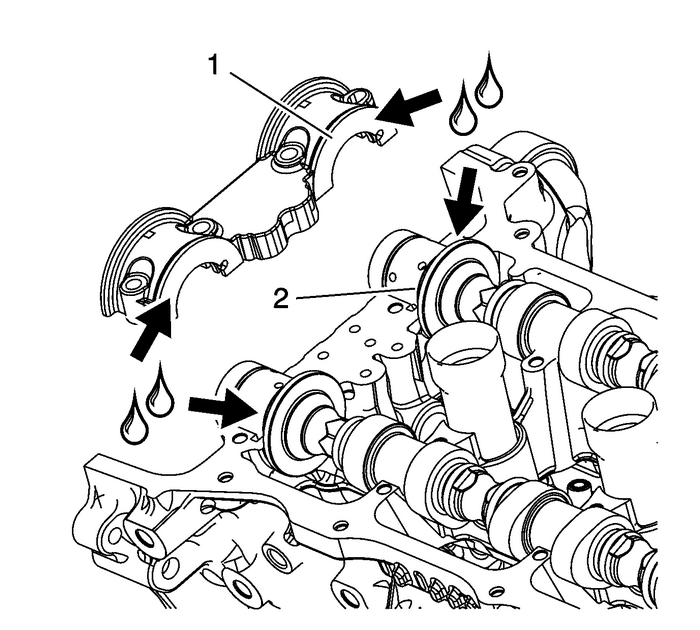 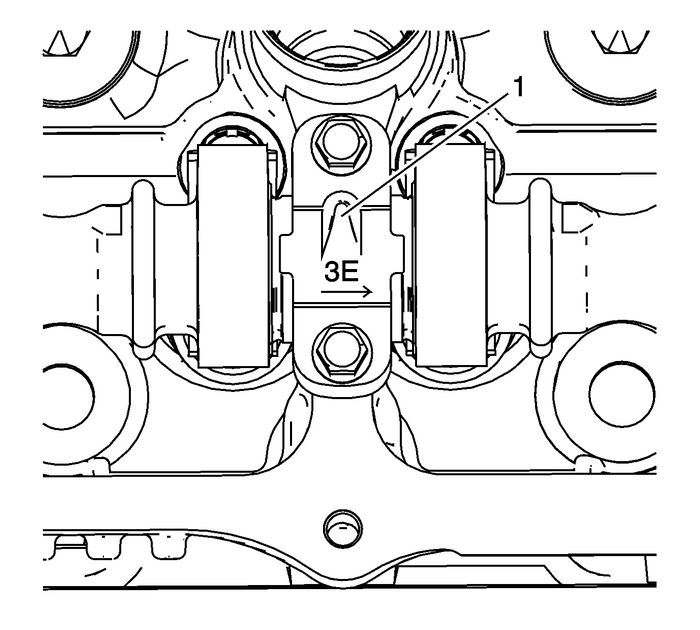 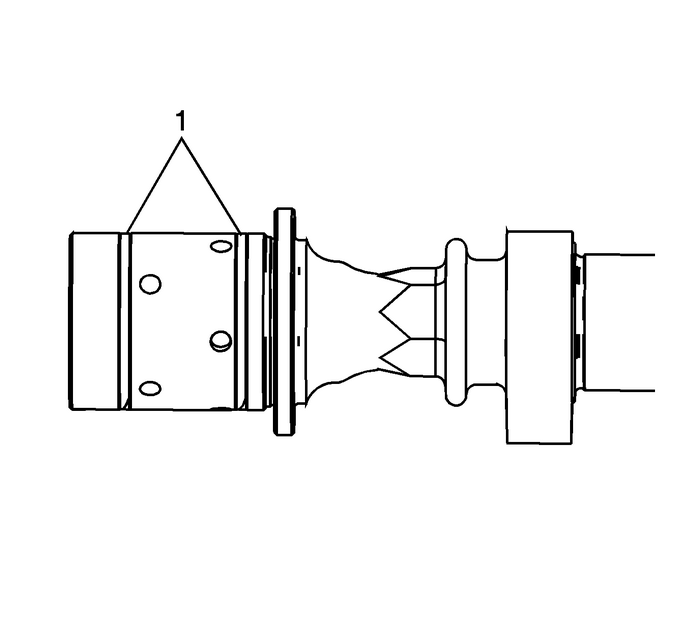 Tighten the camshaft bearing cap bolts in the sequence shown and tighten to 10-Y (89-lb-in).Loosen the center intake camshaft bearing cap bolts-(1, 2) and the center exhaustcamshaft bearing cap bolts-(3, 4).Retighten the center camshaft bearing cap bolts-(1, 2, 3, 4) and retighten the camshaftbearing cap bolts to 10-Y (89-lb-in).